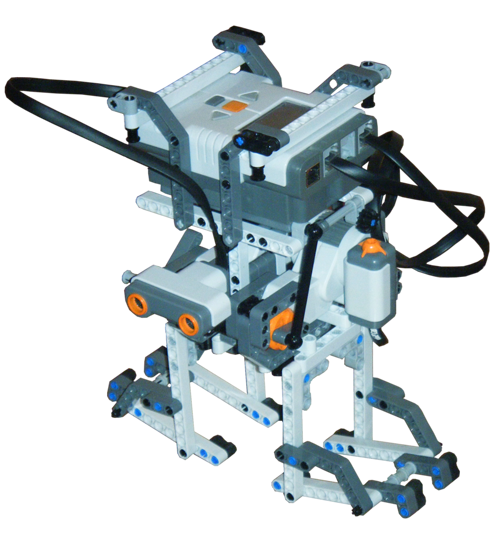 August 2010: It seems like yesterday when I started building LEGO MINDSTORMS Robots! Yet, according to my personal archive, this is the 100th invention. 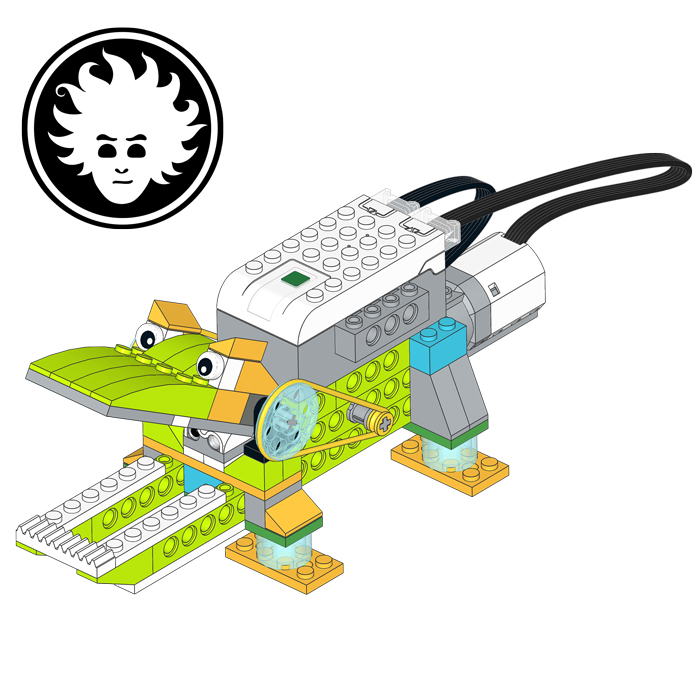 Each idea for a new robot, a particular mechanism, a software, or LEGO-related electronic device has been catalogued. Not every invention has been published on this site since 2003, but I think this is still a quite satisfactory collection of ideas. Quite incidentally, the 100th invention is an omnidirectional robot, a.k.a. Killough platform. 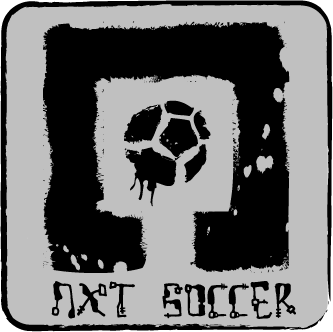 I started the design from an idea by Xander Soldaat, transforming it in a Genuine Italian™ OPEN SOURCE invention. Instructions and code are available for free. 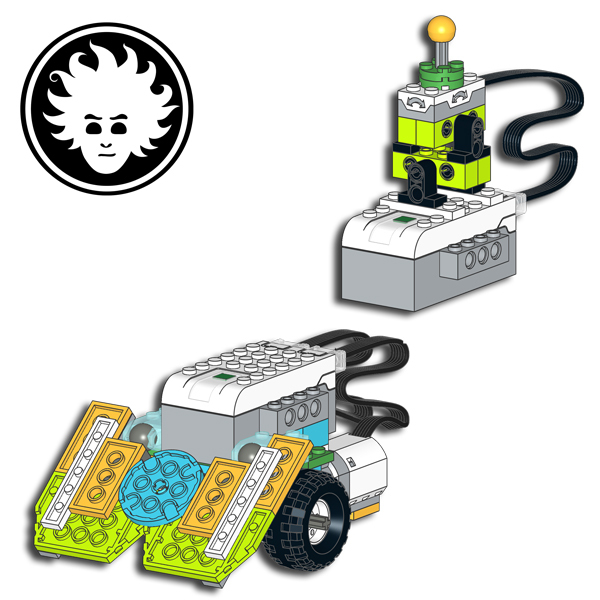 I started designing this robot after Xander’s Rotacaster One-kit Omniwheel, improving the wheels axis alignment, so they intersect exactly in the middle of the robot. This is important for odometry accurate pose tracking. Xander provided LDD model, while I prefer using LDRAW suite. You can download the instruction at the bottom of the page. Besides the 3 motors for driving, the robot has a color sensor placed right in the center of it underneath the NXT, and 3 Ultrasonic sensors to scan the environment. To drive perfectly straight even while spinning, I used the MicroInfinity Cruizcore XG1300L. To program the robot, I chose LejOS NXJ, to maintain the software easily and to exploit the excellent motor control algorithms provided. The robot can follow lines and can be remote controlled, even by an Android phone app I wrote on purpose. 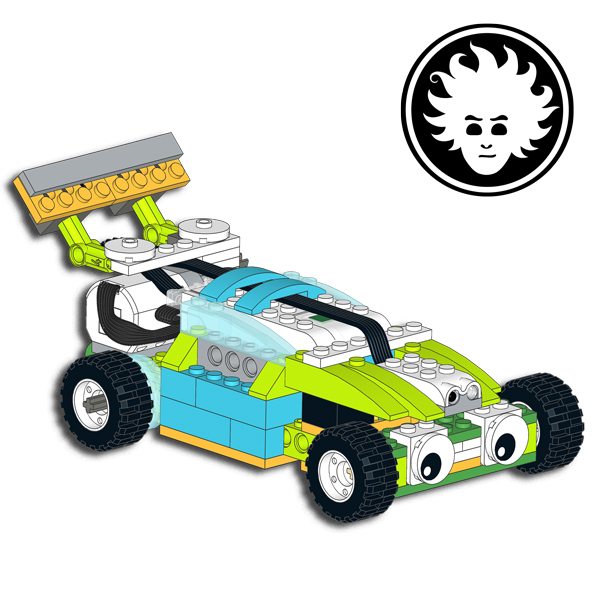 The driving-while-spinning feature has been ported to LejOS from Xander’s Minifig Vomit Mobile. 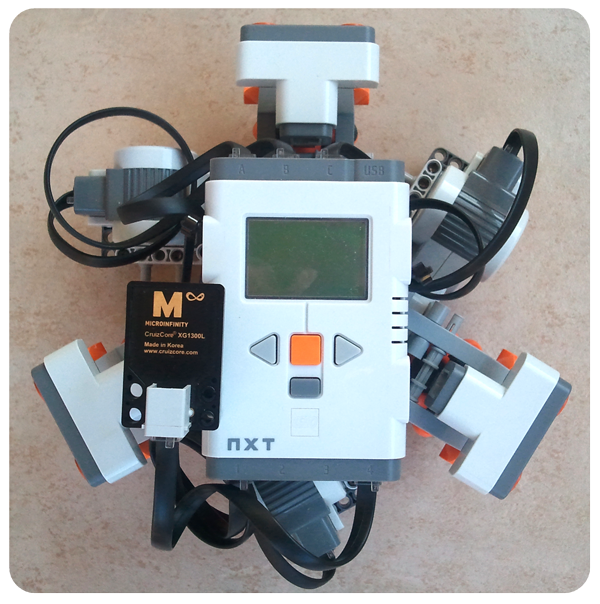 You can find the JAVA class to make an omnidirectional robot like this on the LejOS SVN repository, or included in the latest LejOS distribution. Therefore, please don’t ask me to send you the source code directly.